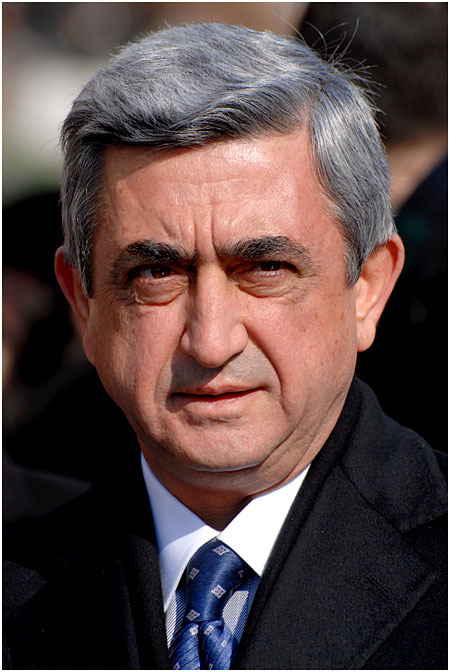 At the heart of the post-election dispute lies the issue of succession to the incumbent and outgoing president, Robert Kocharian, who is unable to run for a third term in office under the constitution. 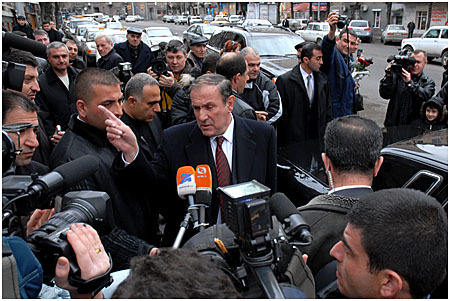 Indeed, the 19 February presidential election was seen by most critics of the government as merely a formality for Kocharian to pass on power to his trusted lieutenant, prime minister Serge Sargsyan. The radical opposition put its hopes on the return of Armenia's first president, Levon Ter-Petrossian. However, with many such as The Armenian Observer believing that Sargsyan would be unable to pass the 50 percent + 1 threshold to win outright on election day, a second round was expected by most independent observers. Analysts and journalists alike were all convinced of that eventuality. But while most polling stations were reported as calm, albeit with international observers reporting “bad” or “very bad” problems with the vote and count in 16 percent of polling stations, civil society received many complaints of violence, intimidation and ballot box stuffing on polling day. Working in the newsroom of Internews, The Armenian Observer received many such complaints himself. […] Complaints and information on various violations kept pouring in. The situation was apparently several times worse in the Regions. Our journalists visited several sites of violations and noted the boldness with which those were being carried out: ballots stuff, voters intimidated, journalists hindered from their work. 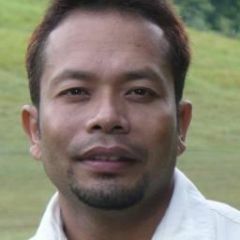 Reports […] give me enough background to state, that the authorities most coldheartedly raped the concept of free and fair elections and might as well get away with it. It wasn't long before videos of ballot box stuffing and other disturbances soon found their way on the Internet. 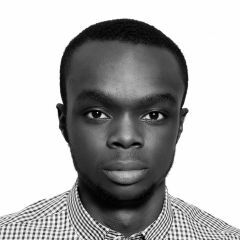 Faced with a generally positive verdict on the conduct and outcome of the election by international observers, however, it was no wonder that the final results did not change much by the time they were confirmed at the weekend. Of course, the final results — 53 percent to Sargsyan and 21 percent to Ter-Petrossian — didn't surprise most election observers. Even on the day of voting, The Armenia Blog wasn't expecting the presidential election to be fair. Ah yes, today is the day where corruption, blind nationalism, and fraud all come together in the form of Armenia's Presidential Election! Who will win? Who will lose? One thing's for certain, this is not going to be a demonstration of democracy and whoever is elected will first and foremost get himself rich, then those near him, and whatever is left will be spread among the lower individuals in power. The blog later commented on the post-election mass protests. All of which didn't really concern the radical opposition much. 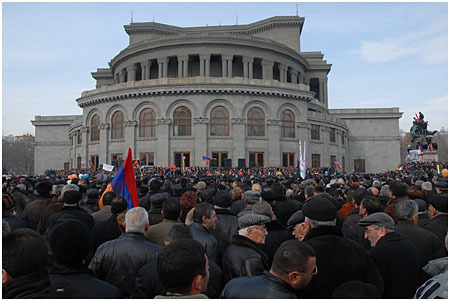 Since the day after the 19 February presidential election, protests were being staged daily in the Armenian capital, Yerevan, and pulled large crowds averaging about 30,000 in terms of attendance. On 21 February, Ter-Petrossian's supporters announced round the clock demonstrations which included occupying Yerevan's Liberty Square. The Armenian Observer spent a night with demonstrators. …and all that time I couldn’t help feeling guilty and responsible for everything that’s happening now. We all are responsible, aren’t we? But some are brave enough to stand up and fight, some, like me – look for excuses in not liking Levon or supporting Vahan – and some openly admit they are being raped by Serzh, and they even like it. Now I just really want to sleep. What was I doing out there all night anyway? Such demonstrations are not new to Armenia. However, what has made the past week's turn of events somewhat different is the consistency by which that part of the opposition led by Ter-Petrossian has managed to gather tens of thousands of people on a daily basis in Yerevan's Liberty Square. Unzipped reports that several officials and diplomats, albeit those mainly linked to the former president, either joined protesters or resigned their positions in a show of solidarity. Four senior Armenian diplomats […] have resigned in protest of the conduct of presidential election and in support of opposition movement led by the first president of Armenia Levon Ter-Petrosyan. This information has just been confirmed by Ministry of Foreign Affairs. 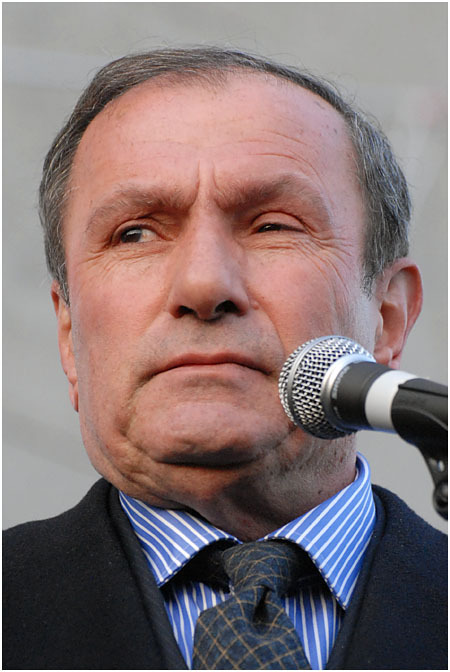 Ruben Shugaryan was Armenia's first president Levon Ter-Petrosyan's press-secretary in 1992-1993, before (1991-1992) he was Ter-Petrosyan's aide. 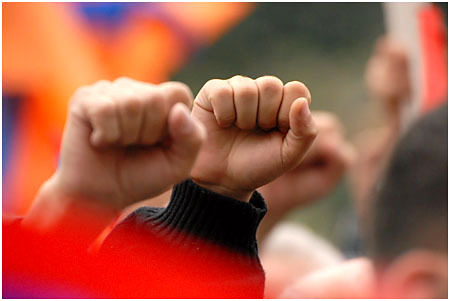 Regardless of conflicting news of support by some high-rank officials in government, judiciary, military etc (some of them confirmed, others – not), it is clear that Levon Ter-Petrosyan has loyal group of supporters in governmental structures, who even after 10 years of him not being in power, retained their loyalty [and] joined the protest movement which is evolving to become a movement for democracy. Moreover, to date there has been no attempt by the authorities to violently disperse protesters and that's even though they have simultaneously held marches through the city center which have disrupted traffic and have not been sanctioned by the municipality. More significantly perhaps, faced with a lack of coverage by the mainly government-controlled broadcast media, the marches were a powerful tool in conveying a message on the streets. […] one foreign correspondent at yesterday’s march by a few thousand female supporters of former president Levon Ter-Petrossian remarked that the move was a smart one. It was perfect for foreign news, he said. Another Western journalist agreed, specifically pointing out that riot police are less prone to violent suppression of such rallies when there are young women present. Ostensibly, the march was to protest the lack of coverage of Ter-Petrossian’s protest rallies by Armenian Public Radio and Television, but to be honest, the reason wasn’t important. What was is that Ter-Petrossian’s team managed to score a publicity coup by giving both local and foreign media exactly what they needed. It was also a way to highlight to society that his movement, regardless of its real size, has diverse support. Ter-Petrossian, an academic who rose to power riding high on dissent within Soviet Armenia at the end of the 1980s, is also a skilled orator and considered a master at exploiting such situations. If anyone possesses the ability to destabilize the situation in even the most authoritarian of environments, it's him. […] Just watching him gesticulate and promise everything to the crowd is quite different than being present at a speech by the prime minister and president-elect, Serge Sargsyan. When people say that Ter-Petrossian has the ability to mobilize and retain the interest of his supporters with his presence, it’s true. The rallies, such as one staged today, have encouraged many of Ter-Petrossian's supporters, and especially those now living outside of the country. Even though more and more key allies of the former president are being rounded up in swoops staged by masked National Security Service (NSS) agents, their mood is optimistic. One of them is Artmika at Unzipped. Whether current ruling regime will eventually manage to break down these protests, remains to be seen. They can only do it by imposing Stalinist methods (they already started – arrests, Bolshevik style propaganda…). The fact that they lost already is out of question. Archuk's Blog is a little more reserved and and says that reliable information is scarce. Last few days I've been trying to figure things out before writing anything, because the information coming from Armenia is so contradicting, it's impossible to say what's true and what is not. My own friends in Armenia have divided in two camps, each one of them saying that are definitely going to come out victorious. In a sense, The Armenian Observer agrees, but says that if Ter-Petrossian's demonstrations turn into a genuine pro-democracy movement, events can hardly be criticized. As a result, the blogger concludes, perhaps its now time for every Armenian citizen to take sides. There is a lot of confusion in Armenia today. Information and misinformation flows follow each other – it is becoming harder to distinguish truth from lies. 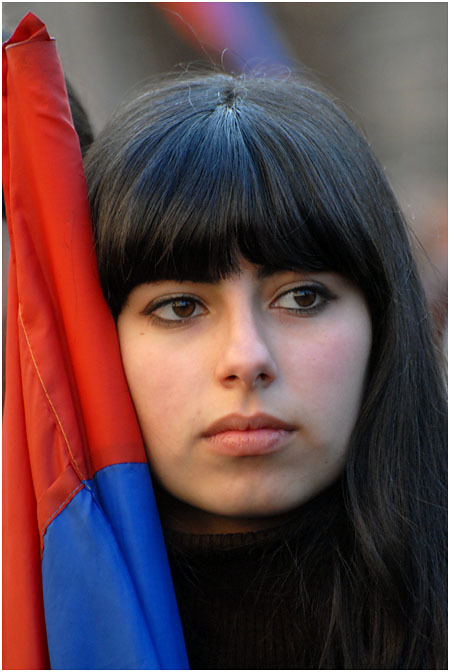 Protests continue in Yerevan’s Freedom Square, where opposition candidate, First President of Armenia Levon Ter-Petrossian’s supporters demand recognition of their candidate’s victory, although there was no objective indication throughout the electoral process, that Ter-Petrossian’s claims are true. A very large part of voters, who are fed up with the incumbent authorities […] are still not ready to support Ter-Petrossian either, but would otherwise support anything that is an expression of opposition to the current regime and condemnation of election fraud. 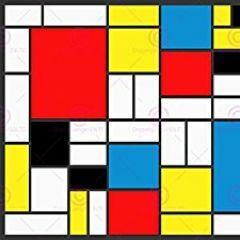 […] In this respect, I guess it would have been a wiser move, if Ter-Petrossian stopped claiming his dubious victory, and instead demanded justice and new elections – I mean – who can be against justice, even if calls to restore it come from a controversial figure like Ter-Petrossian? Everything indicates, that as the opposition protests continue, undecided people are faced with the challenge to make a choice, and join one of the two opposing sides. It is becoming exceedingly hard to stay indifferent. In fact, it can no longer be justified. A week after the 19 February presidential election in Armenia, that appears to be the situation with Ter-Petrossian hoping to attract the greater part of society, fed up as it is with high levels of corruption despite record economic growth, to his rallies. Meanwhile, as both the opposition and government apply pressure on officials to side with them, the scenario of post-election revolution in Armenia looks closer than its ever been. However, when and how this will end is still not yet known. For now, the advantage appears to lie with Ter-Petrossian even though the international community and media does not appear to support his attempt at post-election regime change. On the other hand, bloggers such as The Armenian Observer still fear that it might all end in violence with a state of emergency being declared in the country. Even so, the blog casts doubts on the ability of the authorities to control the situation later. People have awakened, and Serzh Sargsyan, even if he manages to tackle this somehow, will never be a president with real power, authority and legitimacy. Even if Ter-Petrossian doesn’t become president (and I still see his chances as rather vague), he has already won. 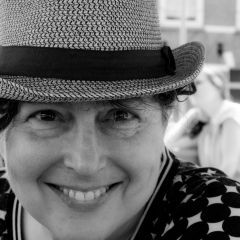 Marilisa Lorusso's Blog calmly assesses the situation and says that how post-election events play out is not yet certain. […] It’s hard to say that in the last 10 years Ter-Petrosyan made the general public regret too much that he was no longer the President, and that a overwhelming majority of population is ready to follow him in his “struggle till the end”. […] Those who backed his run stand by him, but it’s hard to foresee, with international recognition of acceptably free and fair elections, if such a strategy can lead to a stroke, as he seems to expect. But, as the first president and radical opposition leader appeals to the Constitutional Court, and as the authorities show signs of resorting to more draconian methods to stop opposition protests, some observers expect this week to shed light on what the eventual outcome might be. Interestingly, unlike past elections in Armenia, that will undoubtedly be first discussed on the Internet. the choise between Bad and the worst !? I would vote for Levon Ter-Petrosyan if he were a democrat! There is a difference between building a “democracy, rule of law and order “than take revenge by every means! 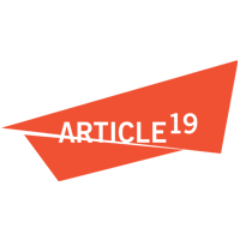 This election had many short comings but still people had real choice /alternatives in Armenia and all candidates had access to media which one can not say about election in Russia and other CIS countries! Unfortunately, Levon Ter-Petrosyan is taking of “fair election” but in reality he is after revenge and has declared “war” still in Sept. 2007. The election program of Ter- Pertosyan was full of ate and just throwing stones almost to every body. MR: Ter- Petrosyan has many times declared to other candidates: who ever is not ready to join im and support his candidacy is a”traitor” . Only an undemocratic politician , selfish and arrogant person can act in such way. One shouldn’t forget that e was the godfather of falsification of elections in the past. 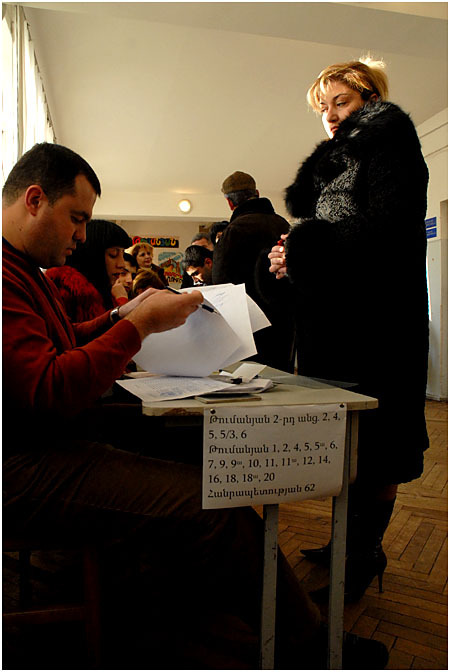 Pingback: Armenia Election Monitor 2008 » Blog Archive » Armenia: Post-Election Revolution Scenario? Onnik – thank you for the excellent post, and even more so – for the brilliant photos! I am from Switzerland and watch it from here. It is very obvious that the votes were cheated. It’s a shame for me as a Swiss that the OSCE is calling this votes to be fair. For what we pay that organisation? Do they think it’s enought to stand for 20 minutes in a voting office to check if anything is done legal? I hear very great stuff about the demonstrations. The students clean up the place every night. If someone is loosing something like money bag or mobile, then the whole crowd is helping him. People from everywhere bring food. Levon asked the 11 men to stop their “hunger-not-eat-strike” because he was scarried for their health. All good signs for something really special is going on. So in Armenia something very special is happening in the moment – a hope is growing, people start to believe. I think it is a movement that we even miss in our well organized countries. When we had the last time something like that in Switzerland? 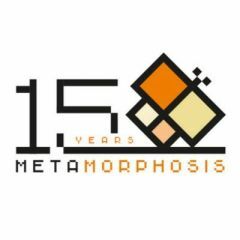 I hope out of this people-movement will follow something really positive – I know thats just a utopic wish, but why not to hope? I hope for international solidarity with the peaculful demonstrators and the politicians should stop to gratulate serge sarkissian. The authorities are not responsible , when the opposition was not abele to put a single candidate. 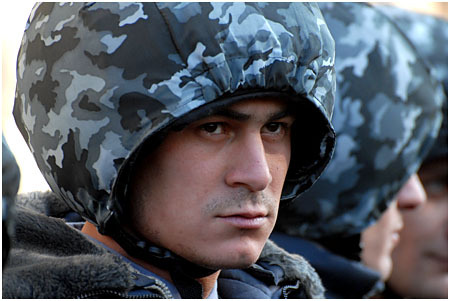 Levon Ter-Petrosyan destroyed the chance of other oppositional candidates… Levon Ter-Petrosyan should act like a responsible politician and accept his defeat instead trying to divide the Army , Society …! Levon Ter-Petrosyan had his chance, He had failed ! If such a political gains 21% it means there is no political culture in Armenian at all .. and Ter-Petrosyan is abusing the situation! Levon TerPetrosyan likes to become a president by every means, even if he is a president of second Lebanon..! Something interesting is happening in Armenia: The authorities are more open , show tolerant are in some way more democratic than so called opposition candidate Levon Ter-Petrosyan who is after a civil war! A compromise solution is needed. CC (Constitutional court ) should declare election valid and close this chapter and in mean time CC should call for fresh parliamentary election in 6 or 12 months in order to create more balance in system! The last election in Armenia where better than the two last election in US. Only in US the losers didn’t want to harm US with there protest or by disputing the “victory” of Bush! But the problem is not only election but the lack of political culture in the country. Therefore healthy forces should work to create better atmosphere for elections and cooperation … Politicians better stop talking to each other via media! People are indeed tired of accusations! Why does Armenia needs so many “one man parties”? How comes so many candidates exist for presidency while Armenia has about 3.2 Mil population? Hoe comes out of 9 candidates one is claiming for itself 65% of the votes and throwing with stones who ever disagrees with him ? 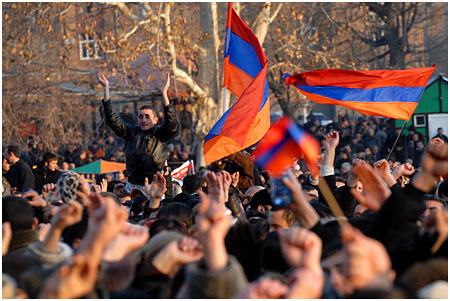 Something has change in Armenia This is good when authorities show so strong nerves. IF Levon Ter-.Petrosyan were the president he would have brought TANKS just after the first demonstration! If one wants to help his7her homeland wouldn’t put preconditions and demand to be call “president” in order to be able to help his/her people! Hey Eric, its clear that you are far and dont know nothing!! you dont even have feeling about armenian reality. So please dont talk things u dont know and from your warm room cannot see!! do you know whats going on in armenia now??? do you know that this is more then about Levon! this is national movement against the goverment who is behaving to his people as to stupid slaves!!! dont u see that people are just got enough off that!!! they finally woke up and want to keep their rights and they dont want this kind of street stile currupt LIE anymore!!!!!!!!! 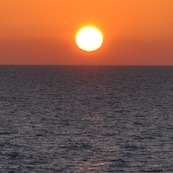 And if Levon who was able to woke the mode and hope of people- then bravo to him! Do you know how was passing this election??? how serj and his “team” where scarying, currupting and forcing people??? and why to call this afterwords clean democratic elections??? do you have idea that they puted police with sticks infront of universities to not let students go out!!! do you thing we are sheep???? or that is the free democrat country??? do you know that lot of people who didnt voted for levon (me also) on this day started to join national movement in opera squere just becouz of those things!!! what is that – no one media is saying truth!!! if u watch national TV that have noooothing to do what in reality goin on in streets!!! they just talk dirt and lie durt and lie!!! do u know that yesterday they forced people brought them to serj sargisyans demonstration. look on youtube or a1plus.am its obviouse how that people are not happy to be there!!! So shame on all traitors, egoists and the ones who are dissinforming people and world now!! I hope people (we) will be able to get our rights!! !